OGCA Milestone Award! : BDA Inc.
On October 26, 2018, BDA Inc. was presented with an OGCA Milestone Award in recognition of the achievement of reaching over 500,000 consecutive derived hours worked without a lost-time injury. 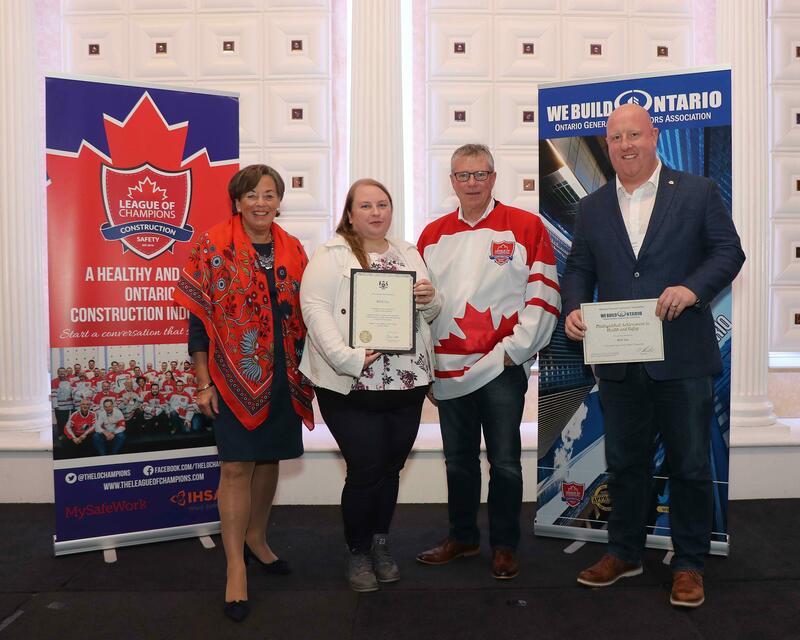 Left to right in the photo is Elizabeth Witmer, Chair of the WSIB Board of Directors; Melissa Carney, Health & Safety Manager with BDA Inc.; Ron Kelusky, Chief Prevention Officer at the Ministry of Labour; and Lewis Cowan, Associate with BDA Inc. Congratulations to all who helped us achieve this milestone. We are striving to continue toward the next milestone!